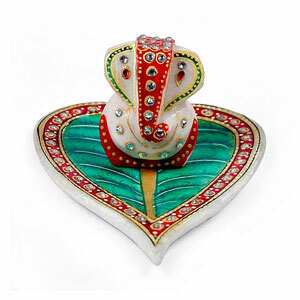 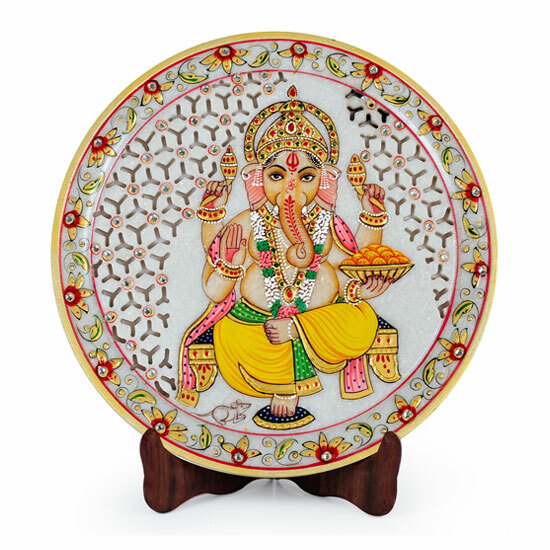 Enhance the look of your pooja room with this Marble Kalash & Chowki. 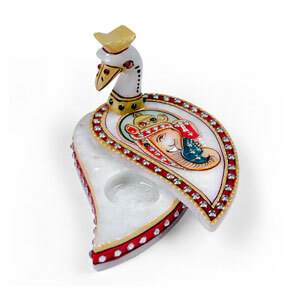 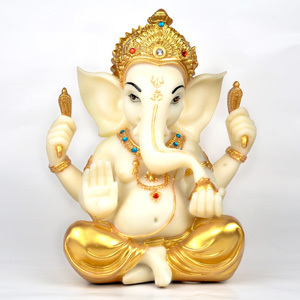 Unique and stylish, made from marble, it has a fabulous finish which makes this ideal as gift for house warming ceremonies and other festive ocassions. 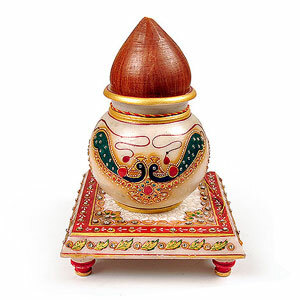 Adorned with white kundan work and rich enamelwork in gold, green, brown and red color makes this Kalash look amazingly attractive.